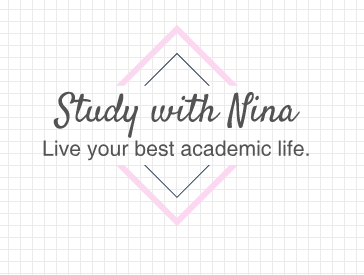 Live your best academic life. Hey guys! It’s Nina, finally back with a new post — I meant to post last week but was on spring break and honestly completely forgot (oops). Anyway, I’m getting back on my weekly posting schedule now with a topic that’s near and dear to my heart — saving money. Like many college students, I identify as a “broke college kid” — it seems like I never have money for anything, including food, bills, textbooks, and socializing. Since I’m a full-time college student, I’ve only been able to work a few hours per week with my help desk job on campus and my tutoring job (which has been dry for the semester anyway), so I’ve had to learn some ways to better budget my money so I can afford what I need. Here are some of my tips for saving — and maybe even making — money as a broke college student. This is a pretty common suggestion, but eating out too much can have a huge impact on your budget. It’s especially tempting to eat out in college, since it seems like at any given time someone is inviting you to get food that’ll cost you extra money. Try to limit the amount of times you eat out by setting a weekly limit or by only paying in cash, so that you can curb your spontaneous cravings for Cookout (we’ve all been there). You could also use going out as a reward for finishing a certain assignment you need to get done, but use this in moderation — don’t “treat yo’self” every time you finish a reading or a WebAssign. Pay in cash whenever possible. Many studies have shown that you spend less money when you pay in cash than when you pay with a card or another form of electronic spending. This is because, when you pay with cash, you experience the physical and even emotional act of taking your money and giving it to another person in exchange for a good or service — an experience that paying with card avoids. Plus, it is easier to ignore checking your card balance, but when you are paying in cash, you have a physical manifestation of how much money you have — and which you are less likely to want to let go of than hypothetical money in a digital bank account. Think of purchases in terms of how long you would have to work to buy that item. This tip especially helped me in high school, when I was working various minimum-wage jobs. If I felt the impulse to buy an item, such as a snack at the gas station on my way to work, I would think of it in terms of how long I’d have to work to buy that item — for example, to buy a $2 bag of chips, I would have to work about 0.267 hours, or 16 minutes, at my job that pays $7.50 an hour — and that’s before taxes. Is that bag of chips worth over a quarter of an hour of work? In most cases, it’s often not worth it to spend the extra few dollars — and that adds up in the long run. Wait to purchase textbooks, or rent digital copies instead of buying physical ones. This tip is a bit of a double whammy, but can save you hundreds or even thousands of dollars in college if you use it. For many classes, the textbook will be on the syllabus, but some professors will very rarely or even never use the textbook, so it’s smarter to wait and save your money. There are two ways I personally figure out whether to spend money on my textbooks: one, I wait until the first day of class and see whether the professor actually intends to use the book; and two, I go on sites like RateMyProfessor or ask friends who have had the same professor before to see whether I need to buy the textbook. Additionally, for classes where the textbook is used sparingly, your on-campus library should have copies of each book available to check out for a certain span of time, so you can scan the pages or work in the library without spending a dime. If you do realize you need to buy the textbook for a class, I highly suggest renting a digital copy. I’ve found that renting an e-textbook from Amazon or related sites saves me ludicrous amounts of money — for example, the textbook I’m renting for my economics class is over $200 to buy a physical copy, but only about $30 to rent for the entire semester. Additionally, renting a digital copy makes it much easier to return the book, so you don’t have to worry about shipping out your copy on a certain date, and you can highlight all you want without penalty. I also much prefer digital books to textbooks because it is much easier to carry my laptop around every day rather than multiple thick textbooks, and I don’t have to worry about accidentally leaving my book at home since I always have my laptop with me. Get rid of subscriptions you don’t use. We’ve all done it — subscribed to some streaming service, digital magazine, or anything with a free trial that expires, and suddenly you’re paying extra money every month for something you don’t use. It’s worth the time to go through your billing statement for the past month or two to identify all the charges you don’t directly remember paying for, and to get rid of those subscriptions you haven’t used in months that are just stealing your money. Those are all the tips I have for saving money in college! As always, if you have more tips I missed, comment below, and be sure to send me any feedback or requests on my contact page. Have a great week!